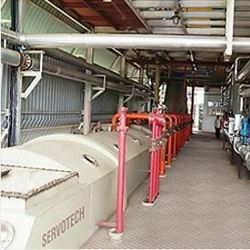 Servotech India Ltd - Manufacturer of herbal extraction plant, solvent extraction plant & vegetable oil refining plant in Mumbai, Maharashtra. The Spice Extraction Plants are highly preferred for different applications in food processing and spice processing industries. These extraction plants are assured to be manufactured from food grade steel, in accordance with the international quality standards. 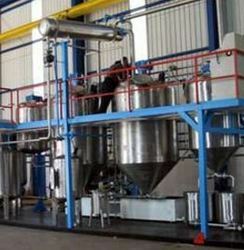 Incorporated with advanced technology, these extraction plants are quite easy to operate and maintain. With robust construction and low operating cost, these spice extraction machines assure to have a long lasting performance. We manufacture and develop advanced cattle feed plants, in all standard capacities with robust construction. 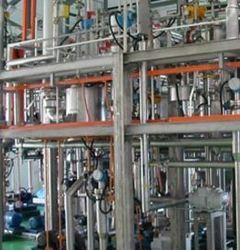 The plant is fully automatic in its operation, ensuring uniform and same proportion of the ingredients in the final mixture. 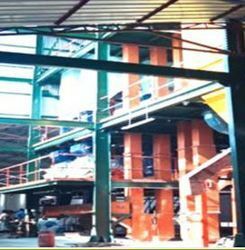 In the plant, there is a grinder, elevator, mixer, hopper, palletiser, winch and a screw conveyor for efficient functioning. The elevator is used for automatically feeding the cattle feed into the grinder. We also hold expertise for customizing the cattle feed plant as to meet the specific production targets of the clients. We have with us a wide range of Feed Milling Plant that is specially designed and developed for varied food processing and grinding applications. All the contact parts in the plant are assured to be manufactured from food grade steel that retain hygiene while processing. Along with this, the feed milling plant has many advantages with it like robust machinery, low energy consumption and long service life. In addition to semi- automatic and fully automatic models, we can also offer customized models of these plants in order to meet clients’ individual requirements. 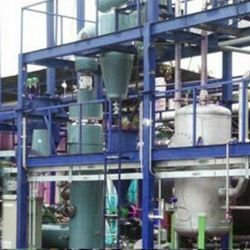 Our company is the leading entity in the industry, manufacturing hi- tech Dry Fractionation Plant. 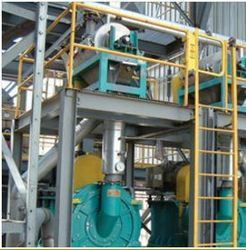 Incorporated with latest technology, the plant is driven by massive increases in palm oil fractionation. 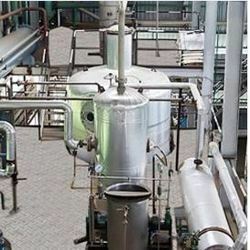 The plant has the capability of performing both single and double fractionation. Quite easy to operate, the plants do not require any technical skills to operate. Flexibility in design and operation make the fractionation plant suitable for a wide range of process applications. The technique used in the plant enables good crystallization repeatability and with it, yields high olein of consistent quality. We have all the techniques available with us that help us in designing and developing an advanced range of Oleo Chemical Plant. The plant requires minimum manual interference with energy efficient operations that are carried out in one go. Manufactured in compliance with the international quality standards, all these plants are constructed out of stainless steel by implementing latest technology. Ensuring a long service life, the oleo chemicals plant is very easy to operate and maintain. In addition to standard models, these plants can be also manufactured in different customized specifications and configurations based upon the requirement of the clients. In our advanced range of Cottonseed Processing Plants, there are different stages of processing, starting from dehulling, delinting, meats recovery, hullbeating, cooking and conditioning. There are integrated expellers within the plant that are used for recovery of oil from the cooked meats. The left out residual oil cake in the expeller is further completely recovered through solvent extraction process. Finally, the oil is refined in order to get edible cottonseed oil. By- product like lint, obtained in the process is again subjected to ginning through which it gets converted into bales that is sold off in market for varied other applications. In order to protect the plant from corrosion and other damages, all the machines integrated in it are properly lined with FRP. The process carried out for obtaining clean cottonseed from de- linting is eco friendly and does not cause any harm to human beings. Generally used as the alternative to ghee due to its cheap price, Vanaspati is vegetable cooking oil, fully or partially hydrogenated. Our expertise lies in manufacturing and developing hi- tech vanaspati plants for complete processing and production of oil. The vanaspati is either used for cooking food or as the raw compound in soap making. We have a reputed track record in the industry with successful installation of 50 Ton Plant in Bihar, 25 Ton Plants in Gujarat, 25 Ton Plant at Don-E-Salaam and 15 Ton Plant in Karnataka. We are equipped with advanced technology that facilitate us to develop special types of industrial hard oil plants, attached with hydrogenation gas generation system. This system produces hydrogen gas by the electrolysis of water. Required for the hydrogenation reaction the gas is compressed in storage cylinders in which high pressure is maintained, from where it is drawn for use in the processing plant. 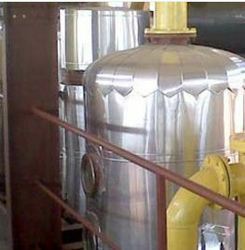 The tea extraction plant integrates the process of extraction, separation of waste, evaporation and spray drying. The plants offer a reliable performance at different pressure and temperature conditions and are easy to operate. Available in various specifications, these plants have aroma recovery system which captures the aroma that serves as essential component in tea. Lecithin is a natural ingredient mainly derived from the soybean. It contains a range of emulsifiers, stabilizers and release agents. We are the leading company, manufacturing plants for dehydration of wet gums that are obtained from soybean oil degumming plant. 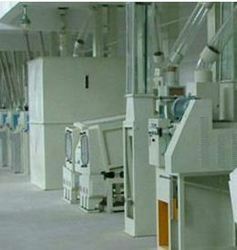 In the plant, a series of operations is carried out in order to get pure quality of lecithin. The process involves bleaching, dehydration, extraction, purification and drying. The lecithin produced is of food grade and thus widely used in cosmetic industry, pharmaceuticals and in food processing as emulsifier. With us, lies all the expertise and techniques to manufacture and develop highly efficient lecithin plants for dehydration of wet gums from soybean. 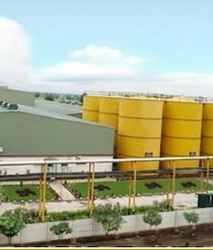 The plant is uniquely designed in such a way that it facilitates the drying process of the feed gently without any burn. The soybeans are then conveyed into the plant in which, the beans are screened and cracked to appropriate dimensions. All the cracked beans are then passed through solid fractions, forming a bow wave ahead of each blade. The lecithin plant needs less maintenance with easy cleaning. There are several processes to be followed in castor oil processing like seed crushing, seed cleaning and purification of crushed oil. 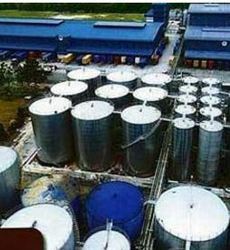 The crushed oil is purified to get BSS Grade oil that is further used in the production of DCO (Dehydrated Castor Oil), HCO (Hydrogenated Castor Oil) and other value added derivatives like Undecylinic Acid and Heptaldehyde. If the castor oil is deodorized effectively, then, undesirable odors can be completely removed, resulting in the production of medicinal grade castor oil. Our castor oil plants ensure hygienic extraction along with ease of operation. In these plants, one can achieve better biological value of meal, better desolventisation and more stable moisture. We make sure to use only standard quality of raw materials to manufacture these plants. This imparts sturdiness and resistance to the plant against corrosion, thus, ensuring long service and economical run in the industry. 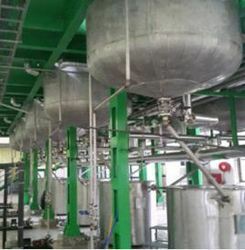 The castor oil plants are completely automatic in their operations and are fully suitable for both medium as well as large scale industrial processing.